Coming to dreaming Hue, we seem to get lost in the ancient capital. It seems that even with so many ups and downs of time, Hue is still like that, keeping all the beauty from the old days. The temples and palaces are still there, Huong river still flows smoothly, and the people of Hue still remain gentle and lovely charm. A very romantic scene makes people always want to remember, a land so beautiful and alluring that everyone wants to visit once. For the past few days, young people have been whispering about the places of the super shimmering image in Hue, the places where they recount that “just standing there, visitors on Vietnam Small Group Tours will have a beautiful image to bring”. Let’s explore 5 coordinates are making people love Hue. Khai Dinh Tomb is also called Ung Lang, located on Chau Thuy mountain, Huong Thuy district, about 10km from Hue city. This is the resting place of Khai Dinh King – the 12th king of the Nguyen dynasty. 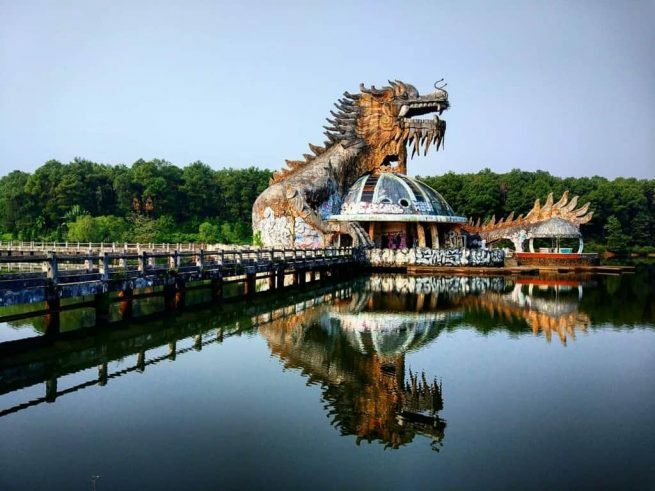 It is also the most unique architecture in Vietnam, attracting many domestic and foreign tourists. Coming to Khai Dinh Tomb, you can admire an architectural work bearing the mark of many different cultures such as Hinduism, Buddhism and Roman Gothic. There we could encounter exquisitely carved lines, magnificent reliefs that were meticulously matched with porcelain and glassware, artifacts, representing the lavish life of the former royal dynasty. An ancient but equally magnificent setting is a place that makes people think that they have lost their way to a dynasty a few hundred years ago. Located right by the romantic Huong River, Hue Citadel is a name that is mentioned quite a lot in the beautiful journey of Hue. Hue Citadel is a complex of cultural relics including the Imperial Citadel and the Forbidden Purple City, which retains the unique marks of the Nguyen court for a long time. Set foot in Hue Citadel, visitors on Tour in Vietnam are overwhelmed by the magnificent, luxury of the old Dynasty with the monumental palace, the grave temples, where people can easily find for themselves the most shimmering shooting angles to create quality photo shoot. Located on Le Loi Street, overlooking Huong River, Huế High School serves as a highlight of poetic love in a bustling urban picture. The school with an East Asian style cannot be mixed so that when you set foot in that place, travelers on Vietnam package Tours are impressed with the dark red gate and brick walls, with ancient trees along the path always green all year round. In the early days of February to the end of March, the whole school was dyed pink by the blooming cherry flowers. Then somewhere in the campus, looming white image of the elegant school girl. Located in Lang Co town, Phu Loc district, Thua Thien Hue province, about 70km from Hue city center to the north, Lang Co bay takes us to a step in a romantic and romantic natural setting. There we catch the clear blue jade sea with long white sandy beaches, embraced by the strong Hai Van Pass. Lang Co is a natural painting reflecting charming scenery, a dreamy fairyland. When the sunrise is light and soft, Lang Co is fanciful in the mist spreading everywhere. And in the gloomy shadow of the night, Lang Co makes the guests sink in the mysterious beauty. A scene so beautiful, too poetic, a beautiful background promises to bring so lovely pictures.